Everyone, regardless of gender, age, living place and job, can be the victim of dandruff. “What should I do to remove dandruff?” is a big question that many people are looking for an answer today. As a matter of fact, hair with dandruff affects a lot their daily lives as well as their work. 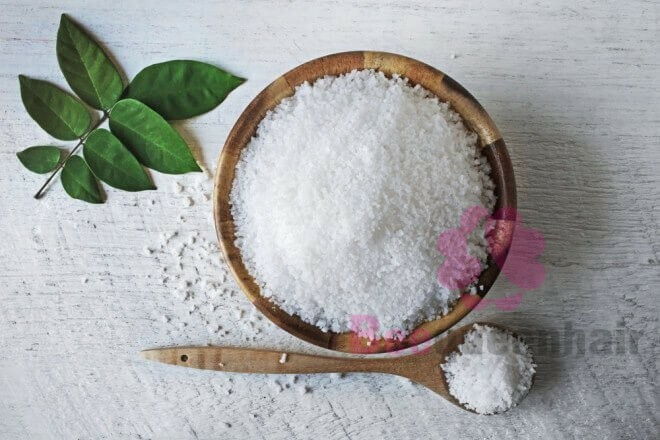 Miraculously, we can take advantage of some natural ingredients, including salt – a common ingredient in every family’s kitchen – to remove dandruff from our hair as salt can kill bacteria and cleanse our scalp and our hair too. Boil a pot of water. You can add 3 tablespoons of salt to the pot before boiling or during boiling. Salt will fully dissolve into the water until the water boils. Wait for the water to cool down. 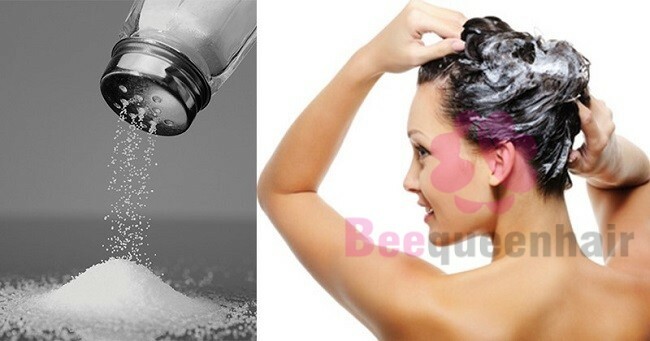 Use the salt solution which has just been created to wash your natural hair. Wash your hair along with your scalp gently for about 5 minutes in an effort to make the dead skin cells on your head loosen and fall off gradually. Wash your hair again with sulfate-free shampoo. Apply conditioner to your hair, from the middle to the roots to avoid scalp buildup. You should repeat this process 1-2 times a week. Prepare 1/2 tablespoon of salt and 1 tablespoon of shampoo. Stir the mixture until salt and shampoo are well-mixed. Wet your hair with warm water then apply the mixture of salt and shampoo that you have just made a few minutes before as if it were normal shampoo. Gently massage your scalp and your hair with your fingertips in a circular motion. As long as you try to repeat the steps above 2-3 times per week, you will surely say goodbye to dandruff soon. Olive oil is usually known to be a useful natural ingredient which helps to nourish the hair. Whereas, lemon juice with a high level of vitamin C is really good for the growth of hair as it enhances the production of collagen. Mix 2 tablespoons of olive oil and the same amount of lemon juice in a bowl. Add 2 tablespoons of salt to that bowl. 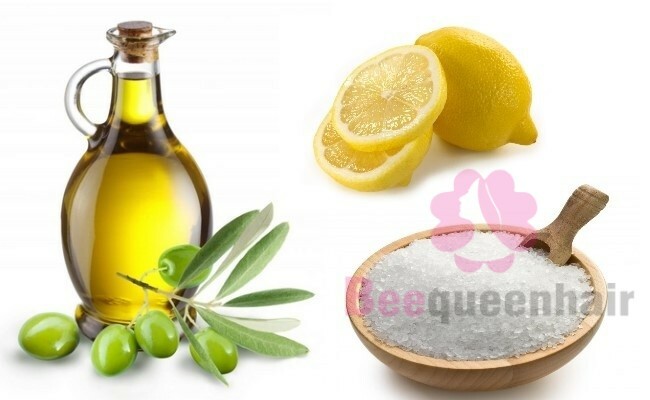 Wet your hair first then apply this mixture to it. Once your scalp is covered with the mixture of olive oil, lemon juice and salt, use your fingertips to gently massage it in a circular motion. After 5 minutes, remove the mixture from your hair by rinsing with clean water. Follow these steps twice a week to get the best result. If you find this post helpful, please share it with your family members, your friends and your colleagues so that they do not have to be afraid of dandruff anymore.